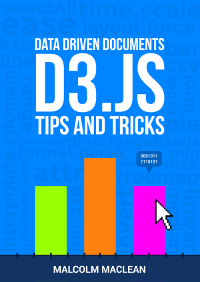 The latest version of D3 Tips and Tricks is another minor release change. This denotes the end of what I had originally intended as variations on the theme of the original simple graph (although I am now convinced there will be more and I will just add them in as and when appropriate). I have been working on hosting files in GitHub with the intention of moving any downloadable content from public folders away from DropBox (which has displayed peculiar 'features'). So, while (in theory, there should be a static link for downloading the latest version of D3 Tips and Tricks, I would encourage people to visit the Downloads page for the most up to date links. I have also begun populating a Links page with a few links that I use that people may find useful as well as links to the d3noob blocks that I have started to populate on bl.ocks.org. 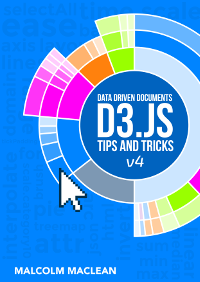 There will most likely not be an update to the D3 Tips and Tricks PDF for a couple of weeks, but the blog posts should roll on out every day or so (slowly catching up with the document). Varying an area fill with a gradient. Hi. I just wanted to say a huge "thank you" for the work you have done here. I too am a D3 noob (a journalist trying my hand at data journalism) and have battled for months now getting my head around D3. I even bought the O'Reilly D3 book which, quite frankly, was as impenetrable to me as the official documentation for D3. 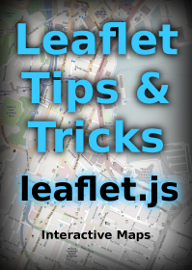 Your tips and tricks document is the best I have come across for someone like me. Your code for adding a tooltip finally helped me work out how to place a tooltip on a line in a force layout graph that I have been working on for ages and which had me stumped. PS: You should have a donation button. I would happily send something your way for the amount of time you have saved me. Wow! Thanks Andrew. I appreciate the kind words and I'm glad that the document was useful. I have to say that I was inspired to write something because in spite of the coolness of D3, there is so much high tech detail on how it works, that I struggled to find my way through to the simple points. And in the same vein, as a user of Open Source software without being particularly skilled at coding, I didn't feel as if I was doing enough to contribute. So to hear that someone has found my small effort useful is most gratifying. 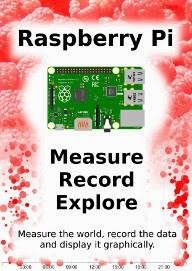 I've had a couple of other suggestions that I should have a donation button, and I may incorporate one by proxy as I am investigating changing the layout and distribution of the book to use LeanPub (https://leanpub.com/ Check it out. They seem like an awesome bunch of folks). They have a model where you can give your work away for free, but the book can then be updated for people automatically and delivered as PDF, mobi or epub. It also provides a chance for folks to donate if they wish. In the mean time I am more than happy to simple receive the good news that it was useful :-). If you come across something that you find could be included, drop me a line :-).